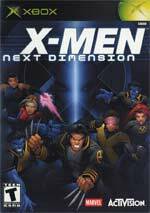 X-Men: Next Dimension plunges players into a powerful enemy's plot to rid the world of mutants. Leaving traditional arena-based fighting games in its wake, X-Men: Next Dimension is the only console fighter game that carries epic super hero showdowns across expansive 3-D levels. Players fight as 24 different X-Men characters through interactive environments replete with combat-induced damage. Mortal Kombat: Shaolin Monks is an Action/Adventure title that will help to expand the already wildly popular Mortal Kombat universe well beyond the fighting genre..
Warzone Online: Mutant Chronicles is a 3D RTS Multiplayer only game that is centered on the Mutant Chronicles tabletop miniatures game and the Mutant Chronicles universe. ..
Backyard Wrestling 2: There Goes The Neighborhood places gamers deep in the heart of Small Town America. 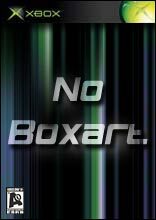 Backyard Wrestling Inc. has announced "your town" as the location of its first live pay per view. They've put a million dollars cash prize on the..
Backyard Wrestling allows you to step out of the the staleness of the wrestling genre, and into a groundbreaking new world of open ended gameplay. Punish your opponent in highly interactive sprawling environments implementing instruments of pain like..